When Is a "Do Not Resuscitate" Order the Right Choice? Sometime a "natural death" is the best option for everyone. Television has done an excellent job of distorting true medicine, including the resuscitation of dying patients. The medical shows may depict a man who is in cardiac arrest getting CPR and waking up in the middle of chest compressions. Many of the patients shown on TV in the emergency department are revived and back to their old selves in no time. Is it really that simple, though? Recently, I was talking with a patient of mine about whether he would like to sign a DNR. His first answer was that he would like to sign one. He didn’t want to be resuscitated, because he wouldn’t want to live with any kind of brain or heart damage. His daughter then interjected and assured him that people have heart attacks all the time, and they’re fine -- no brain or heart damage. That was enough to change his mind. He had completed advanced directives previously that stated his wish not to be kept alive on life support. I reminded him of this, and both he and his daughter replied that the paramedics should get him breathing again and to the hospital, and then the doctors could decide what to do. This man had terminal lung cancer that had spread to his brain. I hated to be the bearer of bad news, but I had to inform him of what he was facing. Resuscitation isn’t as clean and gentle as they portray on television. The chest must be compressed hard and deep enough to pump the blood out of the heart. This can lead to broken ribs, punctured lungs and possibly an injured heart. Paramedics move beyond the gentle mouth-to-mouth breathing and insert a breathing tube into the patient’s throat. Electrical shocks may have to be delivered to attempt to shock the heart back into a normal rhythm. An intravenous line (IV) would be started, so potent medications could be delivered through it. The patient is transported to the hospital, and if they aren’t already pronounced dead, they may be instantly hooked up to life support machines, without consulting with family. What are the chances that all of this will work? The statistics, while not highly accurate due to variances in reporting methods, show that survival after resuscitation is 6 to 15% for patients already in a hospital, 1 to 2% for patients in nursing homes and between 4 to 38% for patients who were resuscitated in non-health care settings. The statistics are the worst for patients who have chronic illnesses, cancer or dementia. 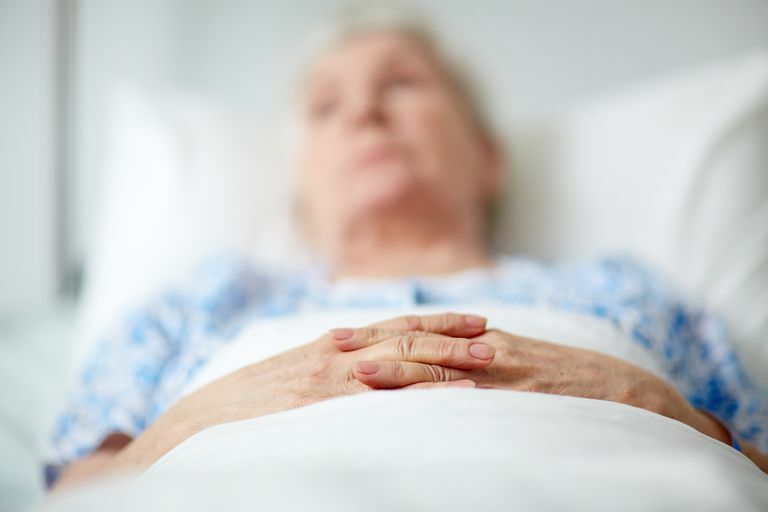 Since most people who are on palliative care or hospice care have one or more of these conditions, their survival would most closely resemble that of nursing home residents -- 1 to 2%. It’s important to note that the 1 to 2% of patients often have some kind of damage to the brain or heart. In a hospital, an order to withhold resuscitation is commonly called “no code." Only a doctor can write an order for a patient to be “no code." If you or your loved one are in the hospital and you haven’t been asked your preference for resuscitation, be sure to bring this up with the doctor. If your wish is to not be resuscitated, inform the doctor and nurses about this. Each state has its own procedure for instituting a no code order, and there may be forms you need to sign. If you or your loved one is in a nursing home, you would need to sign a DNR form to formally let the nursing home’s staff know that you don’t want to be resuscitated. Nursing home staff are legally bound to perform resuscitation on their patients unless they have a signed DNR. Most nursing homes have forms in addition to DNRs, sometimes called "Preferred Intensity of Care" (PIC) forms. These forms allow you to make decisions about whether or not to be hospitalized or receive antibiotics, IVs and artificial nutrition. Outside of a health care institution, paramedics, if called to the scene of an unresponsive patient, are required by law to attempt resuscitation and transport the patient to the hospital, unless they are shown a valid DNR form. Hospice and home health agencies, as well as doctors offices, have these forms available to their patients. Allow Natural Death (AND) orders have been proposed as an alternative to traditional Do Not Resuscitate (DNR)orders. While a DNR simply states that no attempts should be made to restart breathing or restart the heart if it stops, an Allow Natural Death (AND) order would ensure that only comfort measures are taken. This would include withholding or discontinuing resuscitation, artificial feedings, fluids, and other measures that would prolong a natural death. Allow Natural Death orders are intended for terminally ill patients only. If it is truly your wish or the wish of your loved one to not be resuscitated, take the necessary steps to ensure that your wishes are honored. Talk to your doctor or health care provider about a “Do Not Resuscitate” order today. Philip J Podrid, MD; Morton F Arnsdorf, MD; MACC; and Jie Cheng, MD, PhD, FACC. Outcome of sudden cardiac arrest for Uptodate.com. What Are the Common Myths About Hospice Care?